IPGS-2806 L2+ Managed UPOE Switch is a next-generation Outdoor Carrier Ethernet NID offering full suite of L2 features, L3 Static Route and Carrier Ethernet features such as OAM, CFM and 1588v2 PTP, etc. It delivers better cost performance and lower total cost of ownership in Carrier Ethernet networks via copper connections. IPGS-2806 delivers 4 (10M/100M/1G) RJ45 with UPOE (Support up to 60W per port, and total up to 120W) ports, 2 (10M/100M/1G) RJ45 ports and DB9 Console port with built-in AC and DC dual power supply. 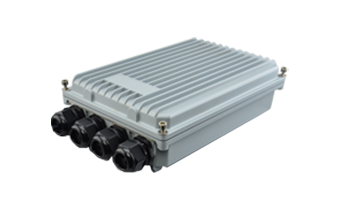 IPGS-2806 supports IP-65 enclosure requirements. IPGS-2806 is the ideal combination of affordability and capabilities for Carrier Edge networking where you need a successful installation for Carrier Applications, and helps you establishing a more efficient, reliable, easy-to-manage network. IPGS-2806 delivers 6 (10M/100M/1G) RJ45 with UPOE (Support up to 60W per port, and total up to 120W) ports, 2 (10M/100M/1G) RJ45 ports and DB9 Console port with built-in AC and DC dual power supply. IPGS-2806 supports IP-65 enclosure requirements. An ‘optional’ battery backup function (with a modular smart charger circuitry) can be implemented into the outdoor NID box, per further request and detailed battery specification required. The model includes UPOE/ PoE+ options to power IP devices with power-saving features like Power scheduling and PoE configuration. Output Power 12VDC (from Battery) When primary AC power source failed, the battery will be active as the backup power source.